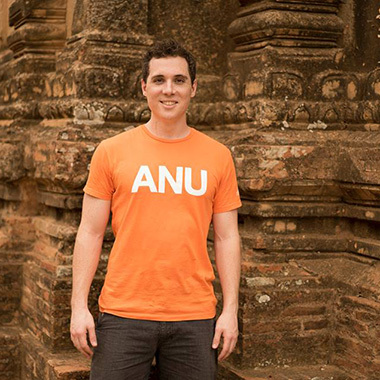 My name is Tom Murphy and I studied a Bachelor of Laws (Honours) / Bachelor of Asia Pacific Security Studies. Like a lot of my friends, I was one of those students that figured out what I really wanted to study only after I was well into my degree. I had actually started in Asia Pacific Studies, but decided to switch to a security degree after 18 months. I really loved that the degree structure was flexible enough that I could still graduate on time. I most enjoyed the STST3003 ‘History of Intelligence’ course. This was taught by Dr John Blaxland, a former Defence Intelligence Officer. His practical expertise and unfettered access to top secret records made for an incredibly interesting course. I loved the opportunities to go overseas on exchange with full course credit. For example, I received a scholarship to travel to Myanmar with a small group, including a Myanmarese diplomat. Our access in the country was unbelievable; we interviewed the Minister for Defence – something that Australian diplomats were envious of. For me, the highlight was the sheer volume of high quality academics at the Coral Bell School. It is filled with lecturers and tutors who come from careers in international relations, security or intelligence. This means I had great access to practical and realistic insights that you can’t get anywhere else. My teachers were also extremely approachable and are keen to talk to students about their assignments and research. The teachers there are also highly involved in student life – an example being that I was part of a combination team of interested students and teachers that made submissions to the Government on policy like Defence White Papers. Lecturers have also organised crisis simulations and field trips to as part of their courses. As part of my studies I visited the Australian National Archives to comb through censored intelligence documents. I also visited the AFP International Deployment Village, and the Police Special Response Group’s headquarters and training facilities. I’m now a graduate advisor at the Department of the Prime Minister and Cabinet. My first rotation was in our National Security Division, and I have no doubt that my studies helped me get into the right job.